We are SO excited to head back to New Orleans this weekend for the Rock n Roll New Orleans Half Marathon. 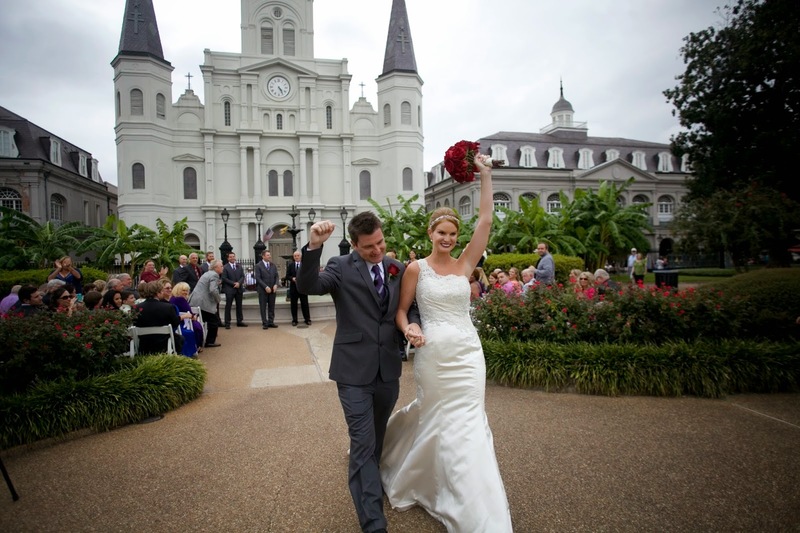 This will be our first trip back to the Big Easy since we said I do there a few months ago! New Orleans is our favorite city and we travel there at least twice a year. We love the city for the culture, food, drinks, architecture and history. If you are visiting New Orleans this weekend for the Rock n Roll Marathon Series, here are a few places to check out! Two years after our first visit to Root, my entire family is still talking about it. To date, I have never had a meal like it. 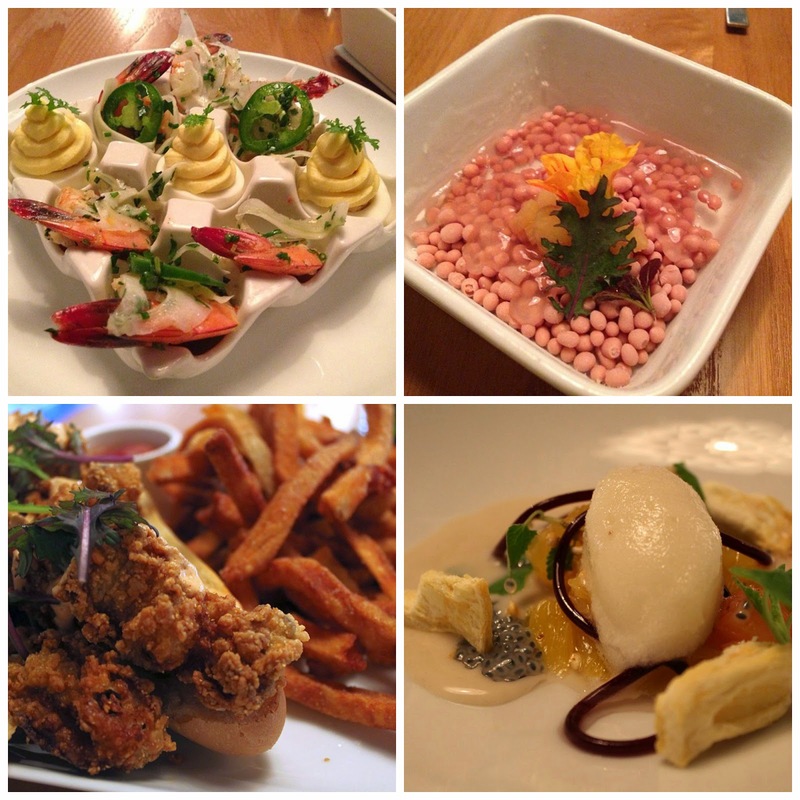 The entire dining experience was magical and delicious. I don't suggest eating fried chicken the day before any race, but if you have time - make sure you check out this gem. Without a doubt, the best fried chicken we have ever had. I always try to plan a visit while in New Orleans. Plus, red beans and rice is totally carb loading! You will find muffulatta's all over New Orleans but I have two favorites. The non-traditional at Cochon Butcher and traditional at Central Grocery. Both places always have lines out the door. If we go to Cafe du Monde for breakfast, we typically walk across the street to Central Grocery to get a muffulatta to go, saving it for lunch or dinner later that night. 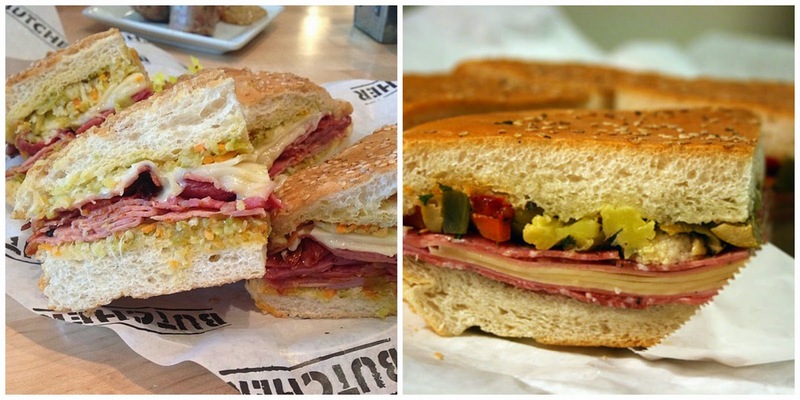 Cochon Butcher serves their sandwich hot, which takes on a whole different flavor. You cannot go to NOLA without getting seafood. 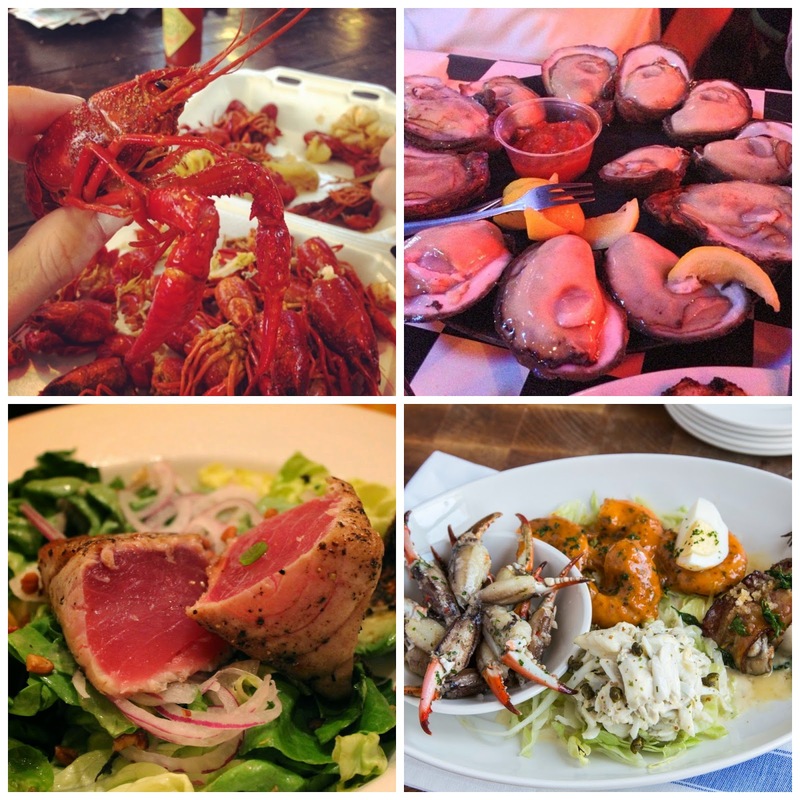 I have a ton of favorite places to get seafood at in NOLA. J's Seafood Dock, Acme Oyster House, Tableau, Red Fish Grill just to name a few. I strongly suggest getting crawfish and oysters while in town. 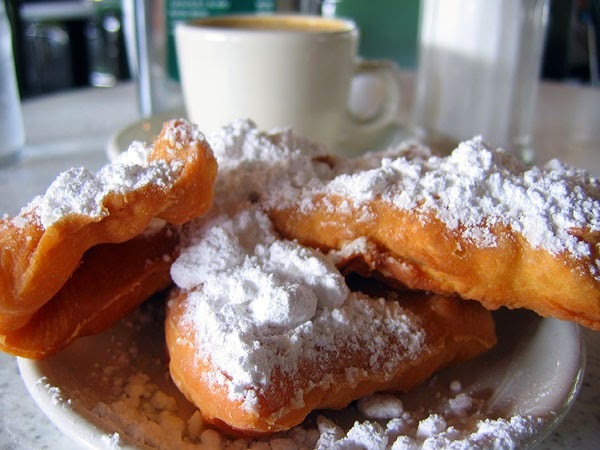 Do not think about coming to NOLA without getting Beignets at Cafe du Monde. Light fluffy deep fried pillows covered with powdered sugar - enough said. There are plenty of tours available in NOLA. 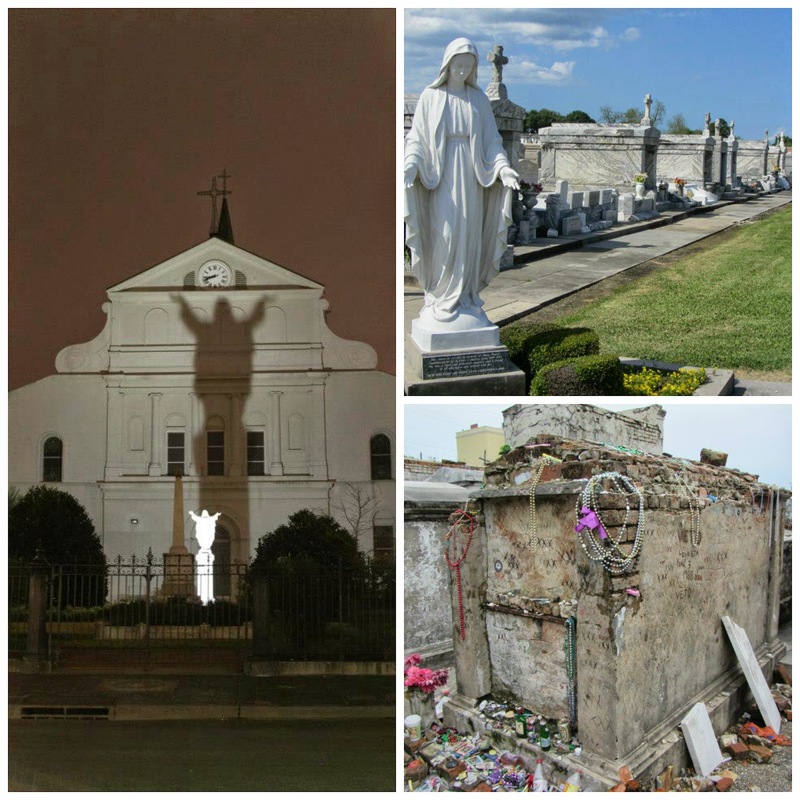 Ghost tours, culinary tours, cemetery tours, voodoo tours, garden district tours, vampire tours - you name it, they got it. This is a great way to hear stories about the big easy. Check out New Orleans official guide for more info. 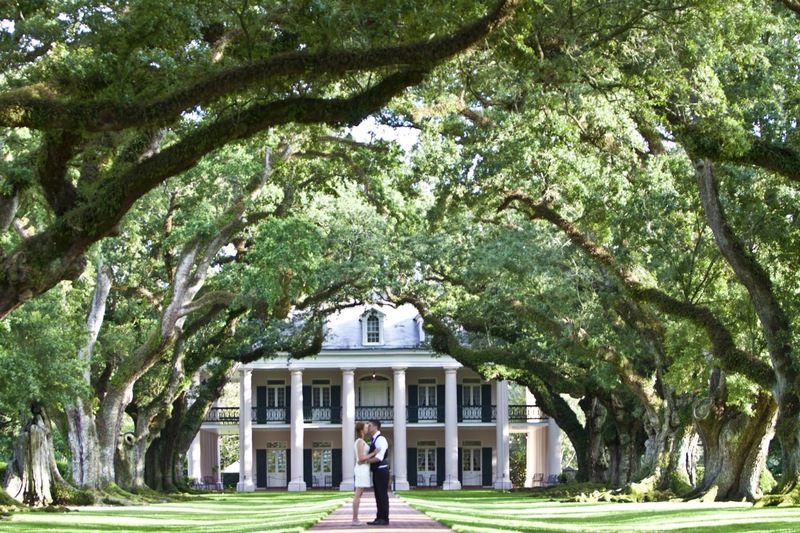 There are plenty of plantation tours available but Oak Alley Plantation holds a special place for us, as we had our engagement photos done there. They also have an amazing restaurant and mean mint juleps. I have a cookbook from their restaurant and I love making their signature dishes! 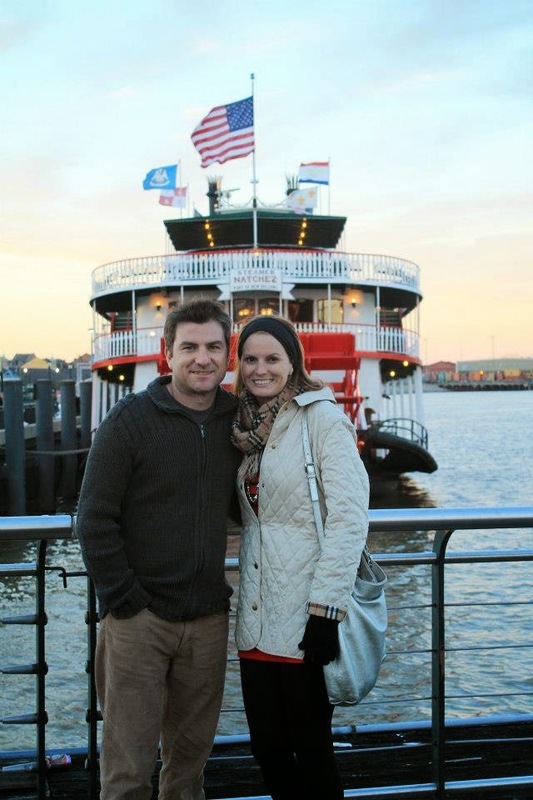 A few years ago, we dined on the Steamboat Natchez. It was a great experience, amazing food and live jazz. 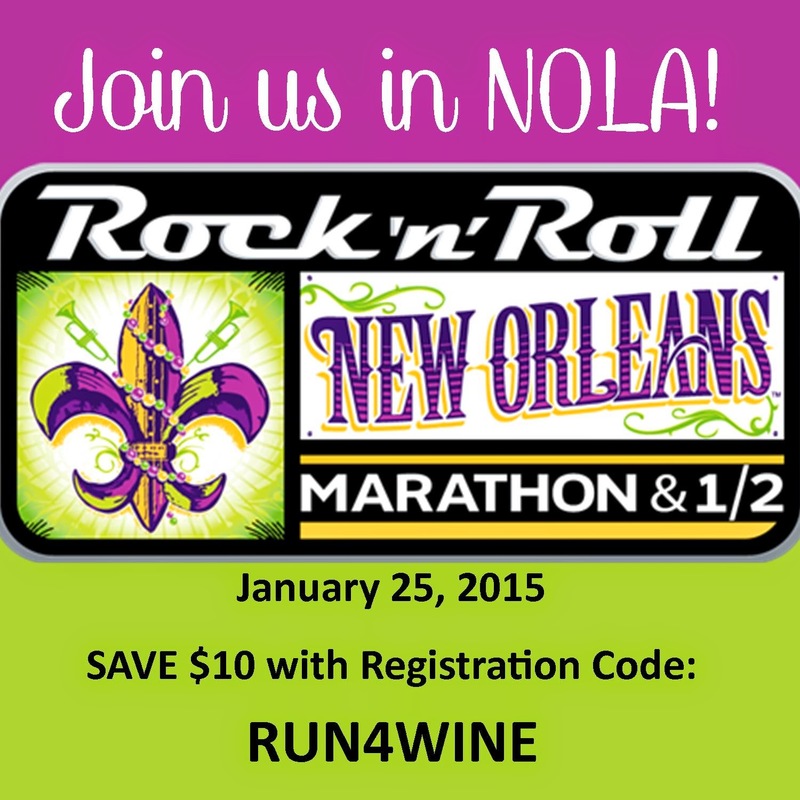 The Rock n Roll New Orleans is still open for registration! You can save $10 off of the half and full marathon with the code RUN4WINE. You can also save $5 off the 10K with code RUN4WINE10K.